During the whole month of September take advantage of our great monthly special of buy 6 veneers and get 2 FREE! Plus, a free 5-year warranty against cracking, chipping and breaking with the purchase of 6 veneers. 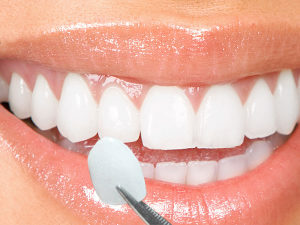 Have straight, white teeth in just two visits! Veneers are a thin layer of porcelain that are attached to the front of your tooth. Great for closing gaps, straightening and whitening teeth that can last up to 20 + years. Many people may not know that there are different types of porcelain veneers available that form from diverse manufacturers. Your dentist may be working with one specific brand of porcelain veneers over another, but it doesn’t hurt to learn about the different types so you are informed and can discuss options with your cosmetic dentist. One of the most common types of porcelain veneers are Lithium Disilicate veneers. This is what Emax veneers are made of which are commonly used because of their great strength and durability. Cosmetic dentists love working with these veneers because they are so carefully combined, poured, and molded and have close to none defects. Overall, lithium disilicate is easier for the dentist to work with and apply so the patients are happy quicker. 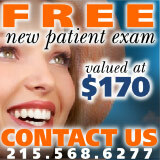 By deciding to get your veneers done at Philadelphia Dentistry you are deciding to work with the best dentists in Philadelphia. 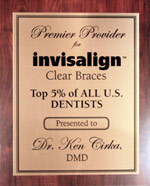 Our doctors have years of experience and have hundreds if not thousands of pleased veneer patients. Crafting someone’s new smile takes years of perfection even with the finest tools someone who is inexperienced can fail. This is why it is important to go with the one of the most experienced porcelain veneer dentists in all of Philadelphia because when it comes to your smile, you deserve the best.